Long Island Game Farm (LIGF) owners and zookeepers said goodbye to Hudson, the park’s beloved cougar, on Sunday, January 30. 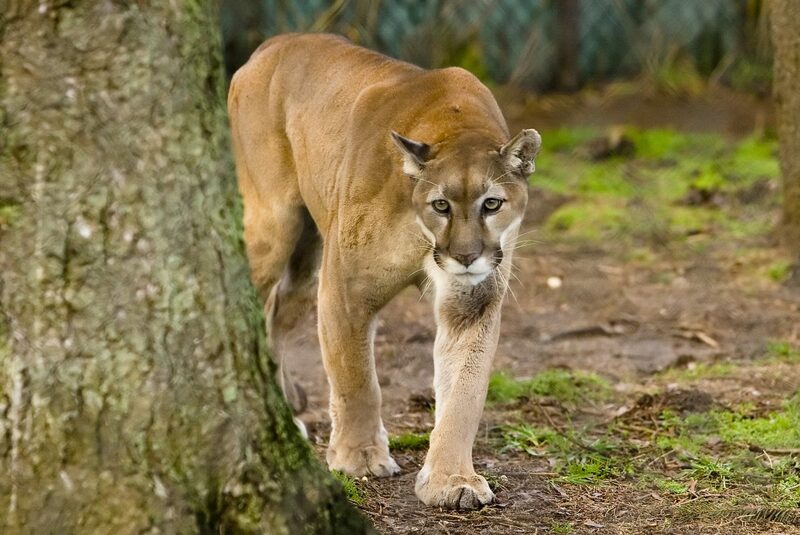 At nearly 20 years of age, Hudson, considered one of stars of the zoo, died simply of old age and had lived well beyond the 13-year life span of a cougar. Hudson was gifted to LIGF by the Catskill Game Farm after it closed in 2006, so he could live out his life in a comfortable environment. He passed last weekend surrounded by his LIGF family, including the zoo’s veterinarian Dr. John. Cougars are the second-largest feline species in their native region, the Western Hemisphere, which stretches from Canada’s Yukon Territory to the tip of the Andes Mountains in South America. Known also as the puma, mountain lion, panther or catamount, adult male cougars like Hudson grow to be an average of 7.9-feet long (nose to tail) and upwards of 220 pounds. They are known to communicate through screams, low-pitched hisses, growls, purrs, chirps and whistles.